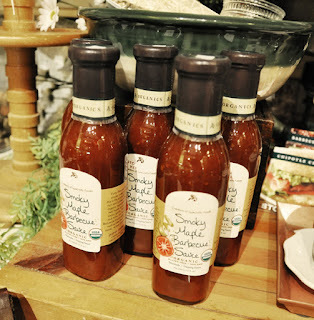 We so enjoyed this Smoky Maple Barbecue Sauce the other evening and simply brushed it over grilled chicken while it was cooking. Wonderful flavor that everyone loved! Bean Salad...Rich and tangy with a hint of smoke. 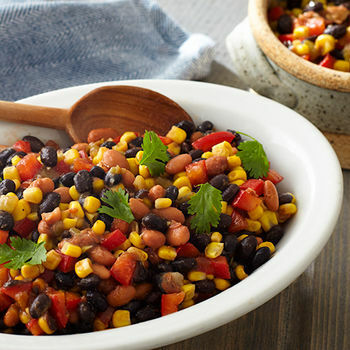 This hearty bean salad will become a go-to recipe for your next party or picnic. Combine black beans, pinto beans, red bell pepper, corn, Organic Smokey Maple Barbecue Sauce, scallions, green chilies, garlic and cumin in a medium serving bowl. Toss to evenly coat. Garnish with cilantro.